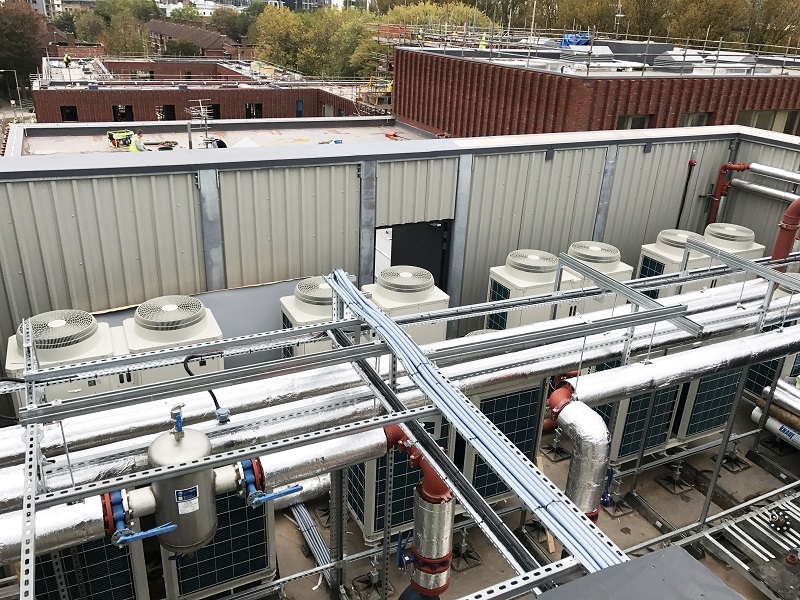 A new residential project in Brentford has shone a light on the exceptional benefits and capabilities of Mitsubishi Electric’s Ultra Quiet Ecodan. 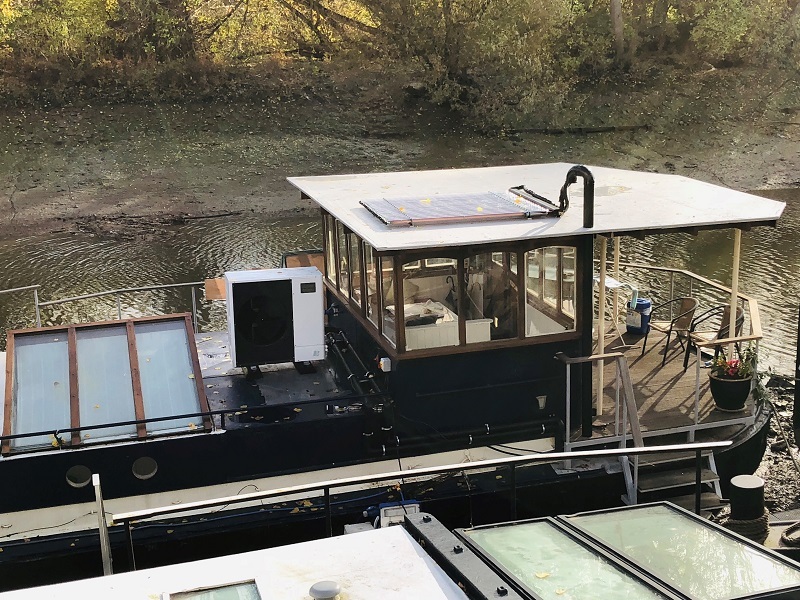 The residents of a houseboat located in Victoria Steps Quay in Brentford, sought after an alternative heating solution that would be both cost and carbon efficient as well as easy to maintain. This two-bedroom family home was originally fitted with a diesel tank, which the residents wanted to stop using. Not only was it an unsafe, polluting method of heating to use in a confined space, it also required fuel deliveries on a regular basis; an unreliable and inconvenient necessity. The solution was to install a 11.2kW Ultra Quiet Ecodan with solar PV. The Ultra Quiet Ecodan would provide all the heat for underfloor heating, as well as all the domestic hot water needs. Due to height restrictions on the boat, a bespoke horizontal 200L cylinder (sourced through a third party) was used. The Ecodan heat pump was sited on a small space on the decking. Space limitations also meant that any sound generated by a heat pump was going to be a huge factor, as any solution would inevitably be installed close to the living spaces. 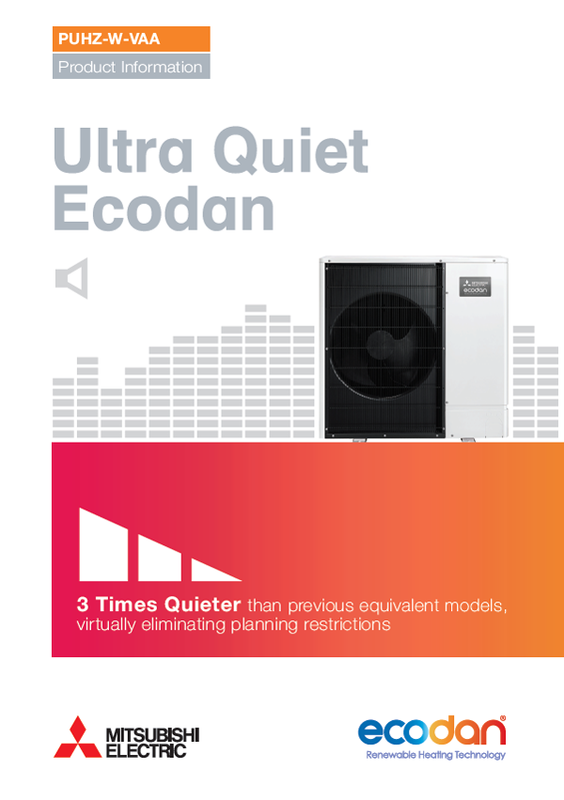 The Ultra Quiet Ecodan, with industry-leading sound pressure levels at 1m of 45dB(A), ensured that noise levels were low enough not to travel into the cabin living space, ensuring a peaceful atmosphere for the residents. 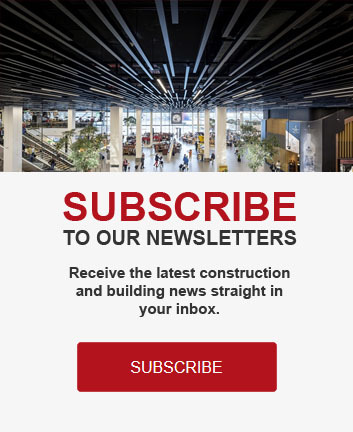 MEL Cloud, Mitsubishi Electric’s mobile control and diagnostics platform app, was deployed enabling fast and easy control and monitoring of the system from a smartphone. As well as giving total control to the residents, MEL Cloud will also help if the residents ever need to diagnose a fault using Mitsubishi Electric’s homeowner helpline. 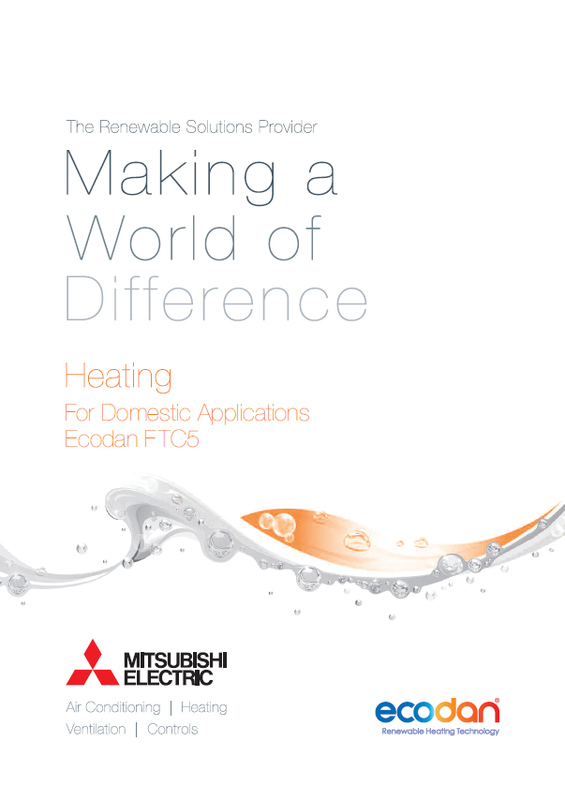 Thanks to the Ecodan, the residents are benefitting from the Renewable Heat Incentive (RHI). The RHI is the government’s financial incentive to promote the use of renewable heat. 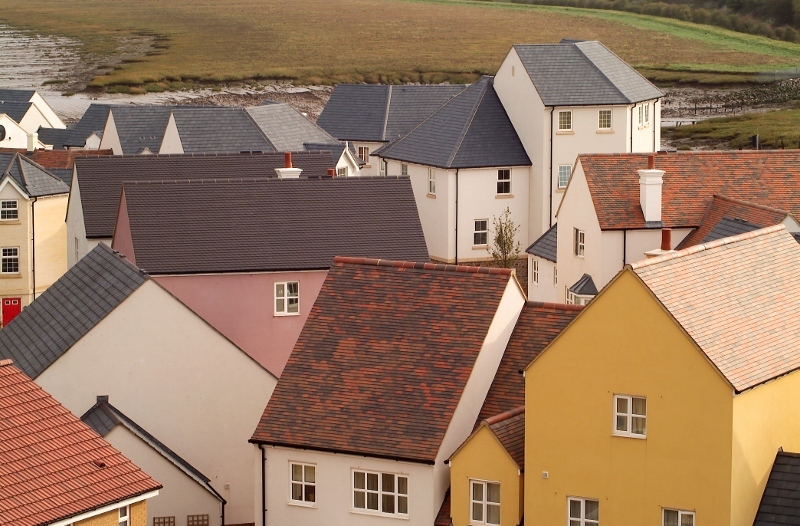 By encouraging the uptake of renewable heating systems such as Eocdan we can help the UK reduce its carbon emissions and meet our renewable energy targets. The residents will be paid a quarterly grant for the next seven years, helping recoup part of the costs of the system. The installation also included the exclusive Metering & Monitoring Service Package (MMSP) from Mitsubishi Electric, which delivers further benefits under RHI. Alongside the heat pump, the installation of a solar PV adds to the environmental and sustainable credentials of the property. The solar PV enables the family to generate electricity that can either be fed back to the electrical grid or used within the property itself. It gives them the flexibility to use only the amount of electricity they need and store whatever isn’t used, in battery packs. Working on a houseboat presented different challenges that you’d find in a more traditional bricks and mortar installation. For example, any drilling on a houseboat has the potential to result in a leak and therefore cause the boat to sink. Therefore, any pipe work, particularly when it came to fix the underfloor heating, had to be carefully managed to ensure no mistakes whatsoever were made. There was also the challenge of physically transporting the heat pump on to the boat, from the canal. Careful consideration was required to manage the manoeuvre, to ensure the residents weren’t suddenly left with a very wet heat pump!